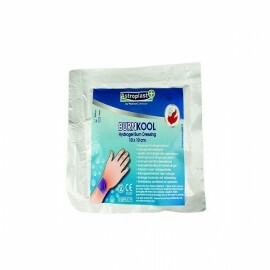 Burns Treatment Kits & Supplies There are 3 products. Ideal for keeping in the kitchen or the car, this Wallace Red Micro Burns Kit provides essential first aid in case of a heat related emergency. This convenient kit includes both burn gels and burn lint pads to soothe and treat burns quickly and effectively as soon as they happen. 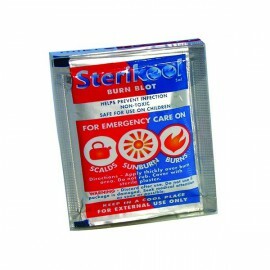 These Sterikool burn sachets from Wallace Cameron are designed to provide soothing relief in the event of an accident. The specially formulated gel is made up of sterile water which is then applied to the injury to cool it by evaporation, lowering the skin temperature to prevent further damage to the skin by transferring heat away from the burn. 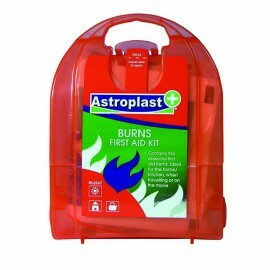 These Astroplast burns dressings from Wallace Cameron are suitable for providing emergency treatment to minor burns, scalding and sunburn. The unique formula of the dressing contains Australian tea tree oil and cools, moisturises and soothes the affected area to minimise pain and trauma and prevent infection.